1500w inverter running on a leisure battery which is installed with a solid state split charge unit. All the lockers have lights (controlled from cab) and there are also independent 12v lights in the camper body. 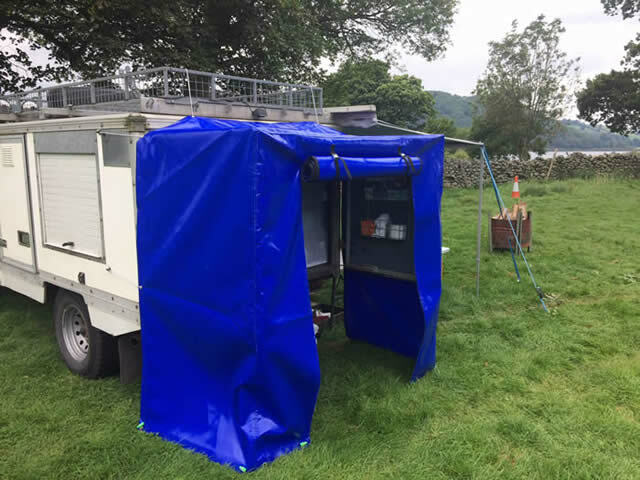 Roll out Fiamma awning and custom rear canopy with mozzy net which pulls across inside. Roof rack with roof lights. Brand new 2.4 engine fitted in 2017 - approx 5,000 miles only. All alloy and galvanised dropside tipper body with floor lashing rings & dual action rear tailgate. Late type all steel doors. Bulkhead behind driver with two secure tool storage areas . Very clean condition throughout, drives exceptionally well. Alloy dropside body with toolbox. Includes new MOT, service and our comprehensive guarantee. 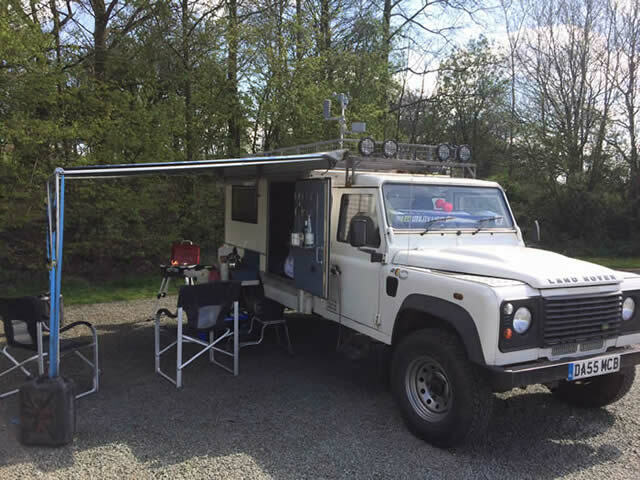 Previously owned by The Environment Agency, our own vehicle for several years. Well looked after, straight and clean condition. Alloys with General Grabber TR radials. Rear Quadtech with storage, roof bars and beacon.